Congratulations on the achievements that have led you to this step in your journey. Transfer and Adult Student Orientation marks your entrance into the UWM community. This program will introduce you to the UWM campus, as well as to other new students. We know you’ve got some previous life experience, so we’ll show you how things work at UWM. It’s our goal to make your transition to the Panther family go as smoothly as possible. All new freshmen must take Placement Tests. Use this link to register. 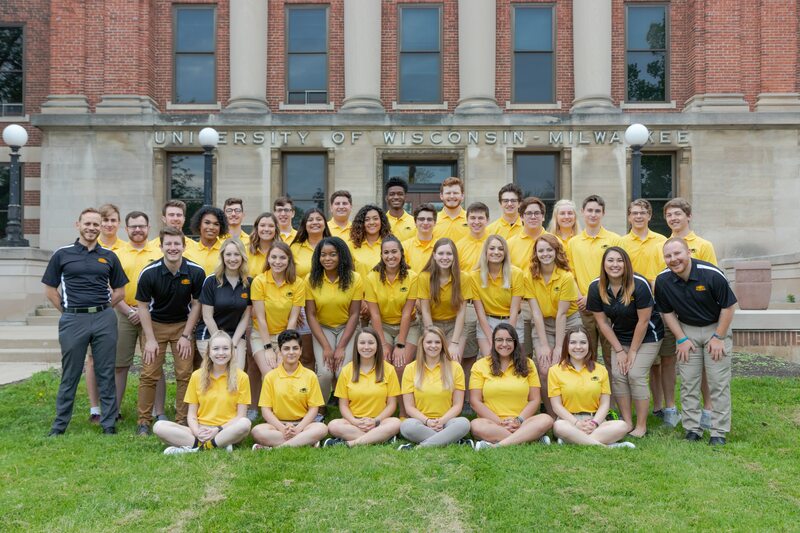 Part of your orientation experience is based on the major that you select when you applied to UWM. You have the ability to change your major up to 10 days prior to your Orientation program. When you log in to the Orientation registration site, you will have the option to change your current major. One of the most important things you will do at Orientation is register for your first semester of classes. Your advisor will be there to help, but make sure you come with a plan. You can look at the schedule of classes and start thinking about what you want your class schedule to look like. Something to write with, a phone charger, a sweater (most buildings are air conditioned and can get cold), and some spending money (meals are provided, but the Panther Shop will be open during orientation programs). When attending Transfer & Adult Student Orientation, we ask that you park in the Union Parking Garage located off of Kenwood Avenue (2200 N. Kenwood Ave.). From the parking garage, Orientation Leaders and signage will direct you to the check-in area (Union Concourse). Parking is included in the New Freshman Fee and you will be given a pass when you arrive at the garage. Please note that parking is not available for Transfer & Adult Student Orientation until 8:45am. If you arrive prior to this time, you will not be given a pass and there may not be space to accommodate your vehicle. From the South – From I-43 North/I-94 West near downtown Milwaukee. Exit right on W Capitol Dr. (76A). Turn right on to W Capitol Dr. Proceed straight (east) approx. two miles to N Downer Ave. Turn right on to N Downer Ave. Proceed on Downer Ave. for approx. five blocks and turn right onto Kenwood Blvd. The garage entrance is about a block down on the right (there is a large sign indicating the entrance). From the West – From I-94 East near downtown Milwaukee, merge on to I-43 North. Exit right on W Capitol Dr. (76A). Turn right on to W Capitol Dr. Proceed straight (east) approx. two miles to N Downer Ave. Turn right on to N Downer Ave. Proceed on Downer Ave. for approx. five blocks and turn right onto Kenwood Blvd. The garage entrance is about a block down on the right (there is a large sign indicating the entrance). From the North – Take I-43 South into Milwaukee. Exit on Capitol Dr. Turn left (south) at bottom of the exit onto N. Green Bay Ave. Proceed to Capitol Dr., turn left (east) on Capitol Dr. Continue along on Capitol Dr. two and one half (2.5) miles to Downer Ave. Turn right (south) on Downer Ave. Proceed on Downer Ave. for approx. five blocks and turn right onto Kenwood Blvd. The garage entrance is about a block down on the right (there is a large sign indicating the entrance). From the Airport – Exit the Milwaukee airport loop to Airport Spur Rd. Continue along the Airport Spur to I-94 West heading toward downtown Milwaukee. From I-94 West, merge on to I-43 North. Exit right on W Capitol Dr. (76A). Turn right on to W Capitol Dr. Proceed straight (east) approx. two miles to N Downer Ave. Turn right on to N Downer Ave. Proceed on Downer Ave. for approx. five blocks and turn right onto Kenwood Blvd. The garage entrance is about a block down on the right (there is a large sign indicating the entrance).